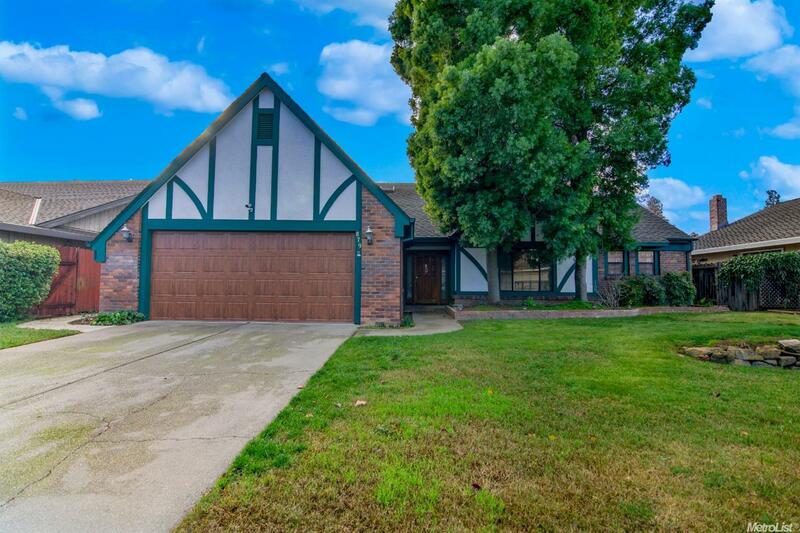 Semi Custom Tudor Style Home in lovely West Woodland Neighborhood. Enjoy the views to the backyard through double sliding glass door off the great room that features a gas log fireplace and vaulted ceilings. Two bedrooms and two full bathrooms downstairs and one bedroom and full bathroom upstairs. Formal dining room and a breakfast nook are perfect for all kinds of entertaining. Nice covered patio and a raised gardening area compliment the outdoor space!